I did a double take when I saw this box of Cheerios in Asda last week. Words tumbling round my head included ‘yeah right’, and ‘marketing ploy’ and ‘seriously, Cheerios, low sugar’. No way. I had to inspect further. Scouring the nutritional information I homed in on the sugar per 100g. Here we go I thought, this is where I catch them out. But no. There it was, plain as day. 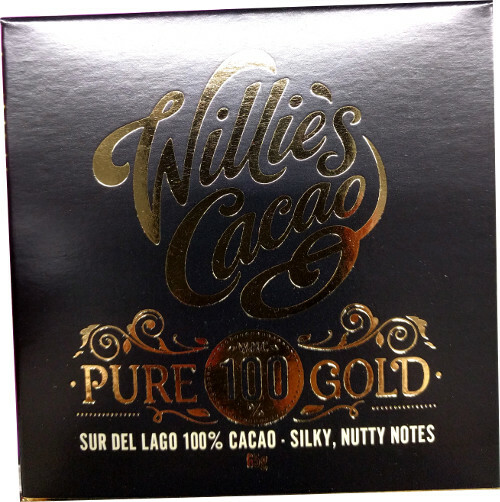 Just 4.7g of sugar per 100g (a little over 1 teaspoon). Anything lower than 5g per 100g is low in sugar! This is the same as around one quarter of a teaspoon per 30g serving. 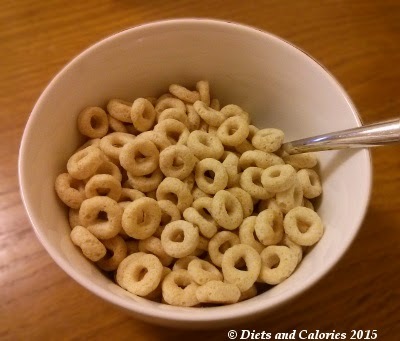 Cheerios Low Sugar oat cereal will now make its entrance onto my 10 Low Sugar Breakfast Cereals post. After discovering that Cheerios really is a low sugar cereal, I immediately thought they must have added sweeteners instead. But once again, I was proved wrong. There in the ingredients list is sugar. No sign of a sweetener. It’s looking good so far. Opening up the box reveals a mountain of cream coloured circles, or Os as they like to call them. Taking a sniff, I can’t smell that Cheerio sweetness. In fact, I can’t smell anything at all! Sampling a few straight out of the box, it takes a few chews before I can taste anything. But then it comes. That distinctive Cheerios taste is still there, but you certainly do notice the lack of sweetness. I know right away my children will want to add sugar to these. Just as well I've replaced the sugar with Truvia Stevia (they've never noticed the difference)! The verdict from my youngest was, ‘they taste like Cheerios but they need sugar’. However, as she was eating them without heading for the sugar, I said she must like them. ‘They’re OK she said, but I’m waiting for you to leave the room before I put the sugar on’! I think if you’re used to eating regular Cheerios, these will take some getting used to. 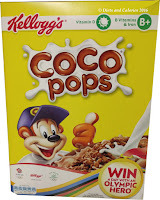 But if you like this type of cereal for breakfast, or the kids are young enough they haven’t discovered sweet, over sugared cereals yet, then this could be one to go for. I buy Cheerios from time to time for my children. Not the honey Cheerios, thinking that’s just a step too far up the sugar ladder. However, I never really compared the sugar content with the other Cheerios. And after analyzing the different varieties, there’s really not that much to choose between them! Here’s a comparison table showing the differences in nutrition between Regular Cheerios, Low Sugar Cheerios, Honey Cheerios and Chocolate Cheerios. The colour coding is to show which nutrient are high, medium or low. 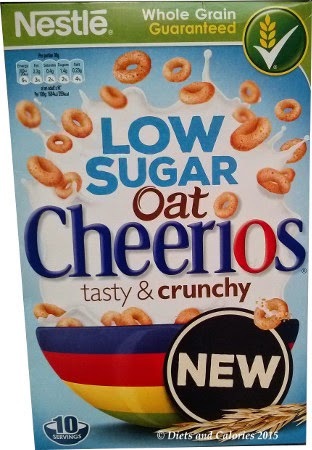 While the sugar and salt levels are lower for the new Cheerios, unfortunately, the calories are higher than the other varieties, even the chocolate flavour. There’s also more fat and saturated fat. This takes them to the medium level on the traffic light scheme. Hey Mums and Dads. We love these delicious Os made with tasty oats, and they’re lowsugar too! You’ll find that low sugar oat Cheerios have less than 5% sugar in them, but as you’d expect from Cheerios they still taste great. So that’s another good reason to say yes to Cheerios. 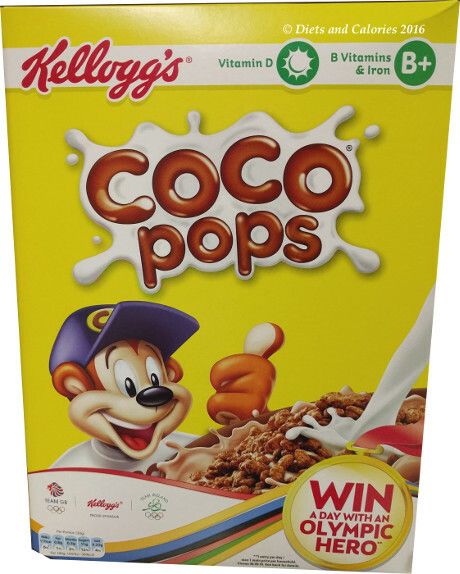 It’s great that Nestle have brought out an alternative low sugar version of their popular breakfast cereal and I hope more brands follow suit. As you’ll see from the ingredients list below, Low Sugar Cheerios aren’t made with the four different grains that the other Cheerios are. 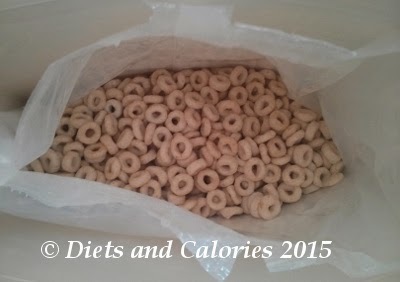 Low Sugar Cheerios are made just from whole grain oat flour. It also doesn’t have the added vitamins and minerals including Vitamin C, Niacin, Pantothenic Acid, Vitamin B6, Riboflavin (B2), Folic Acid, Vitamin D, Calcium Carbonate and Iron. Low Sugar Cheerios are available in most major supermarkets and are sold in 325g packs. Ingredients: Whole Grain Oat Flour (98%), Wheat Starch, Sugar, Salt, Acidity Regulator: Tripotassium Phosphate, Antioxidant: Tocopherols.